Tamron’s acclaimed VC (Vibration Compensation) mechanism reduces image blur caused by camera shake to deliver sharp images even when shooting handheld in low light or at the telephoto end*. The PZD (Piezo Drive) provides noticeably faster, quieter autofocus action, allowing users to capture spontaneous moments in crisp images and to continue to shoot even when quiet operation is required. The lens is now even smaller and lighter. In addition to state-of-the-art optical design that facilitates downsizing of the lens body, the mechanical design, which incorporates a highly sophisticated multi-stack-cam layout that takes up far less space, and PZD (Piezo Drive), an autofocus drive system with a simpler, more compact structure, has made it possible to reduce the overall dimensions of this lens. * The Sony mount does not include VC, as Sony digital SLR bodies include image stabilisation functionality. 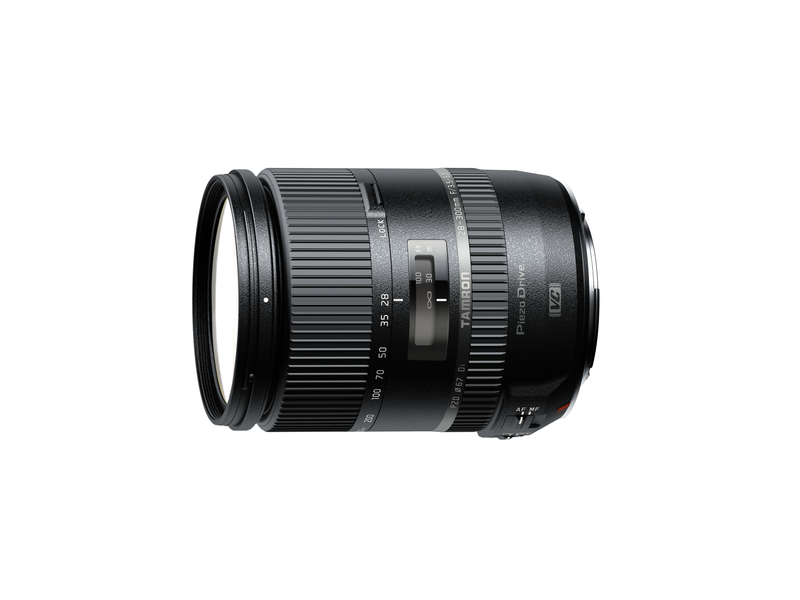 The Sony lens is designated as “28-300mm F/3.5–6.3 Di PZD”. The full-time manual focus system enables fine focus adjustments to be made during autofocus shooting without having to change the focus mode beforehand. The advanced optical construction of this lens includes four elements of LD (Low Dispersion) glass, three Molded-Glass Aspherical elements, one Hybrid Aspherical element, one XR (Extra Refractive Index) glass element, and one element of UXR (Ultra-Extra Refractive Index) glass, which has greater refractive index than XR. The full use of specialised glass elements in its design contributes to making this outstanding lens as compact and lightweight as possible, while minimising aberrations, resulting in superior image quality. The application of BBAR (Broad-Band Anti-Reflection) coatings for suppressing reflections on lens element surfaces minimises unwanted flare and ghosting to deliver sharp, crisp, high-contrast images. * Values given are for Nikon-mount models. ** Diaphragm remains circular up to two stops above minimum aperture. *** Sony camera bodies have built in image stabilisation functionality, so the Sony-mount Model A010 does not feature VC (Vibration Compensation).